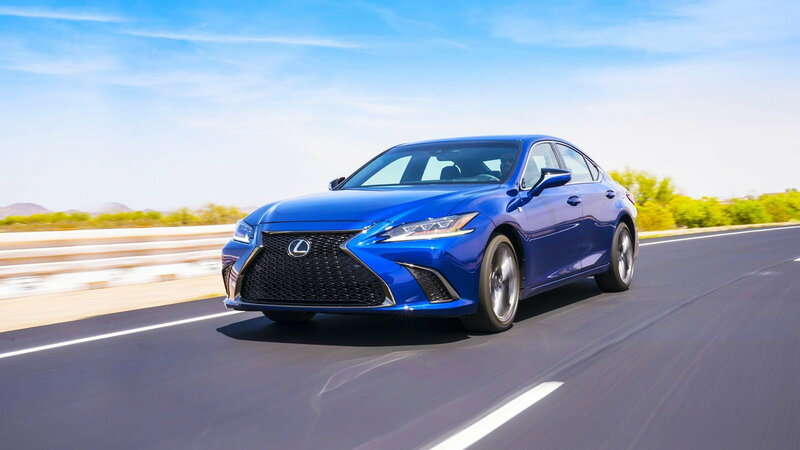 Daily Slideshow: The new 2019 Lexus ES is more efficient and comfortable than ever before. The ES (short for Elegant Sedan) is the four-door model in Lexus's lineup--one step under the exquisite LS. This will be the seventh iteration of the ES, dating all the way back to 1989. Now, the ES shares a platform with the Toyota Avalon which gives it a smooth, supple ride as well as sporty handling. The new model is a full two inches longer in the wheelbase and 1.7 inches wider to allow for more room for passengers but still manages to be lower in height. That longer wheelbase will benefit not only the occupants with more room but the trunk with far more cargo room. Lexus promises that the ES is now 6% stiffer than the outgoing model but is also a tad bit heavier. The ES is by no means a sports car, but its numbers would say differently. Since it's on an all-new, more dynamic and stiff platform, the ES makes for a fun car to tear up some bends in. The ES, in only the Hybrid model with a 2.5-liter inline-4 making 176 hp and 163 lb-ft. Moving to the gasoline-only models you can opt for the upgraded engine and you get a 3.5-liter V-6, making 302 hp and 267 lb-ft; not slow by any means. That's 7.9 or 5.4 seconds to 60 mph and standing ¼-mile times of 15.9 and 14 seconds (respectively). It achieves those numbers with the help of its 8-speed Direct Shift automatic transmission with paddle shifters. If these numbers aren't enough to "wow" you, just know that an F-Sport variant will be coming very soon. 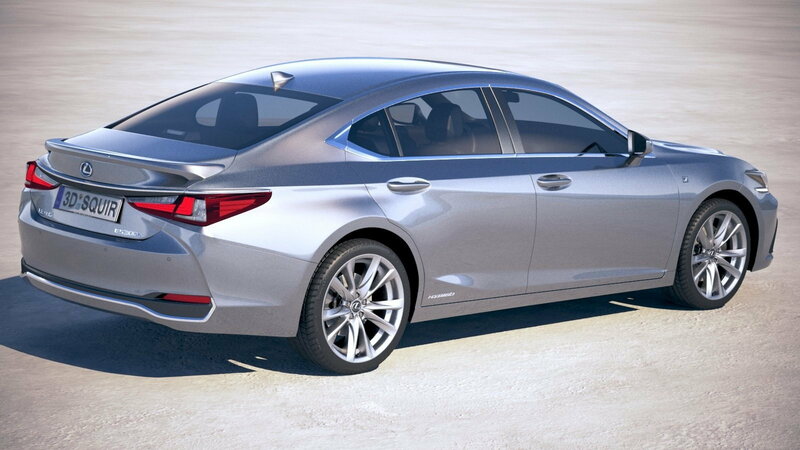 >>Join the conversation about the new Lexus ES right here in the Club Lexus forum. The ES fills two needs. On one hand, you have the comfortable four-door sedan, perfect for long hauls; and on the other, you have a sporty and fun machine. This Lexus does the comfortable bits better than the performance driving, admittedly. Lexus is trying to make more engaging cars to drive (which they are) but this is better suited as an everyday commuter rather than a canyon carver. If you want a Lexus that can do that, get yourself an F-Sport model. 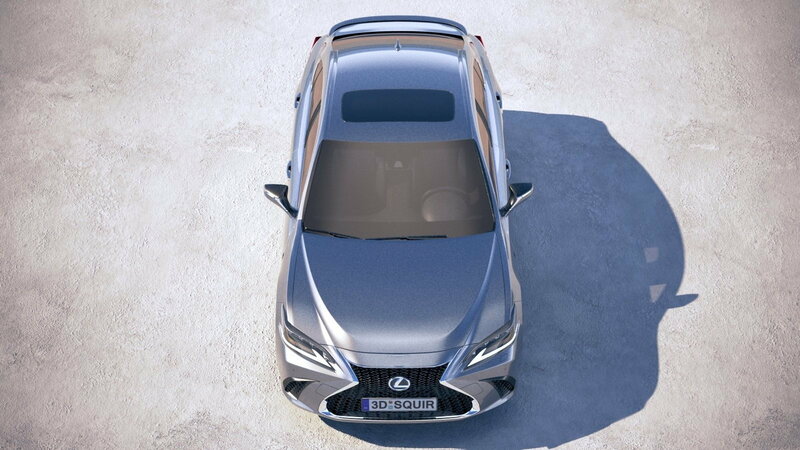 Thanks to its new adaptive dampers, the Lexus rides super soft but can instantly change personalities at the turn of a button. Flip it into Sport+ mode and the dampers stiffen, the steering tightens, and the throttle takes a shot of espresso. Choose the sporty 19-inch rims and summer tires, and your ES will be grippier than ever! 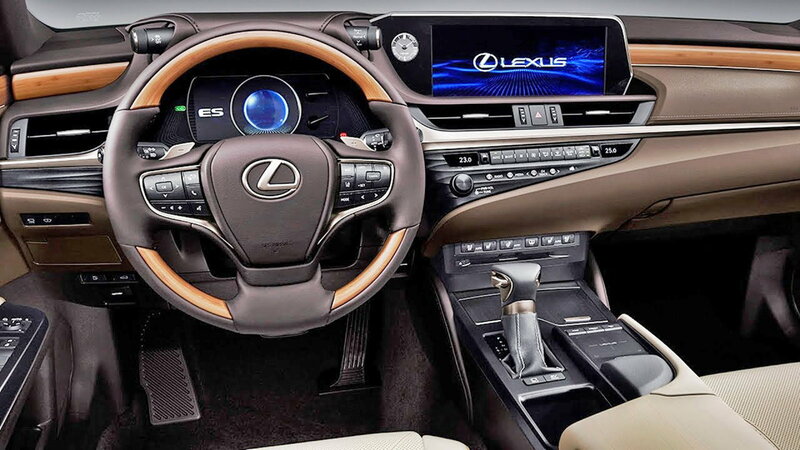 Lexus has stepped up their interior game in the last five years. Now, they manufacture interiors that rival the best from Mercedes and Audi. A high-res TFT screen comes standard as well as premium audio system, Apple CarPlay, Amazon Alexa capability, and passive safety driving technology (like lane-keep assist). get the upgraded interior package and a 12.3-inch infotainment package can be yours along with a heads-up display and WiFi. This thing is packed from head to toe with more technology. There is plenty of tactile leathers and soft surfaces. The front boasts comfortable multi-adjusting seats while the back allows room for three grown adults. 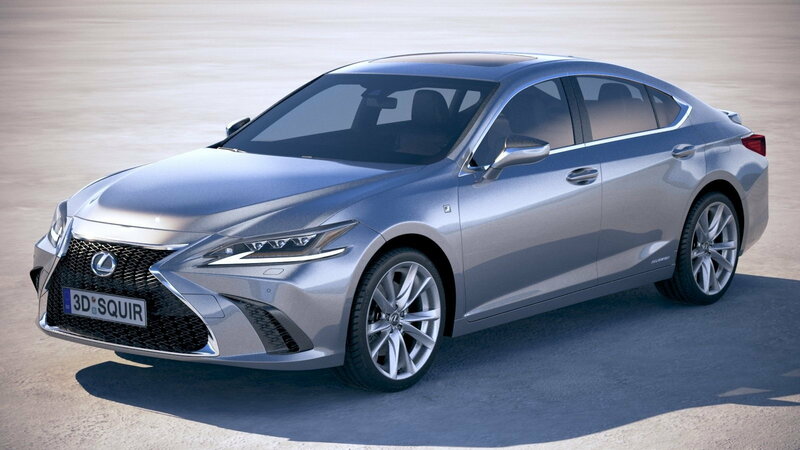 The 2019 Lexus ES 350 starts at $39,500, while the ES 300h hybrid price list opens at $41,310, which is $510 less than last years' model. The Top-of-the-line ES 350 F Sport costs $44,035. The ES will be hitting showrooms later this year. Expect to see lots of these on the roads as it is Lexus's best selling model. When it comes to having the best of both worlds, the ES is a tough sedan to pass up. Buyers get fun with a sensible side. What more could you want? For help with your maintenance and repair projects please visit our how-to section in the forum.